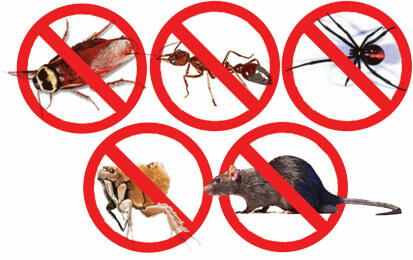 We can provide a complete range of pest control services for commercial, industrial and domestic situations. Extensive training and expertise are essential in our business and we strive to provide the highest quality service for you. We use only safe and approved chemicals and pesticides and we guarantee our work with fully trained and licenced operators, using the most up to date methods available. With our long experience in the industry we know pests intimately and that is our, and your, best weapon against them. If you need help with any pest problem in your home or business, this is the place to start. Offices, factories, schools, supermarkets, clubs, hospitals, health care centres, hospitality venues, shops ... whatever your industry, Bentley's Pest Control division can tailor a program to fit the specific needs of your business. Every industry is unique so we can develop an on-going program to suit your requirements. Keep the pests away with a Bentley Spray! Are any of these a problem at your place? Trust Bentley's to remove the problem without the price tag or stress!